Rockband is back, and so are plastic instruments! Hooray! Rockband and Guitar Hero (which is also making a comeback later this month) wouldn’t have been anywhere near as popular without their novelty controllers, which make you feel like a guitar god playing to an arena full of screaming fans rather than someone playing Sweet Child O’ Mine on a toy guitar. For every Guitar Hero controller, though, there are 100 more accessories that flop dramatically. People have been trying for years to find an alternative to the standard controller, and it’s taken them in some truly weird directions. Here are 9 of the worst gaming accessories of all time. To be fair to Nintendo, light guns did eventually become quite a popular console accessory. But this was never going to take off: it looks like a terrible prop from a low budget sci-fi, it was ridiculously heavy and it could only be used with a few games. To top it all off, it took 6 AA batteries to power. Duracell must have made a killing (other battery manufacturers are available)! Road safety campaigners, look away now. The Wii Car Power, as the name suggests, is an adaptor that allowed you to plug your Nintendo Wii into your car’s cigarette lighter. In theory, it’s not a terrible idea: you could hook the Wii up to a portable DVD player and keep the kids entertained on a long car journey. In practise, it would lead to squabbles, noise and potentially even the odd Wiimote smacking you in the head after little Johnny got overexcited playing Wii Sports. 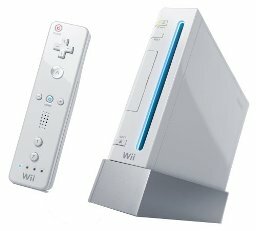 Right, be honest: who bought a little tennis racket to put on the end of their Wiimote? We thought as much. Despite being completely useless, these little pieces of plastic – which were presumably meant to make you feel more like an athlete and less like someone jumping around their living room pretending to play tennis – were ridiculously popular. Why?! Unlike most of the accessories in this post, the Steel Battalion Controller actually looks really, really cool. It’s a cockpit you can put on your desk – what more could you ask for? Unfortunately, using the controller was a nightmare. It had over 40 buttons, which meant you either had to be a qualified fighter pilot or an octopus to last more than 5 seconds in the skies. You could only use it with Steel Battalion too, which is a shame because we’d love to try and play FIFA with the control panel from a Boeing 747. Control games using the power of your mind! Well, not quite: the Mindlink actually ‘linked’ with the muscles in your forehead and controlled games based on muscle movements. By the time you completed a game, you’d probably had a few new wrinkles and a permanent migraine. You’d be better off pretending to control the game with your mind while actually using a controller. Unsurprisingly, the Mindlink never actually made it to the shelves after test groups complained of – you guessed it – headaches. Inspired by the success of Guitar Hero, the Tony Hawk franchise decided to introduce a plastic skateboard controller. Cool! Imagine you’re an 8 year old kid. Now imagine that someone told you that you could control Sonic just by waving your hands and legs around with a magic octagon mat. The Sega Activator should have been the coolest gaming accessory ever, something that every kid wanted for Christmas. Instead, it was a big fat disappointment. Rather than mapping your movements, the Activator relied on you waving your hands through beams of light mapped to the controller. You could punch and kick if you wanted, but you had to do it over the ‘right’ button. Oh, and you couldn’t use it if you didn’t have a flat ceiling. The next time someone disses the Kinect, kindly remind them of how things used to be. The Power Glove is undoubtedly the coolest looking accessory of all time, allowing you to control the (Nintendo) universe with just a swipe of your hand. Sadly, it turns out controlling the universe with a glove is a lot harder than it looks and not nearly as fun. It was basically a wrist-mounted NES controller with a confusing keypad and the occasional opportunity to control characters with your fingers. Once again, Nintendo has the right idea at the wrong time. A camera attached to a portable device? Brilliant. A camera that takes pictures so grainy you can barely make out the subject? Not so brilliant. And, as Instagram and Facebook were just an apple in their respective founder’s eyes, the camera came with a little printer to print out your…erm, masterpieces. Thinking about upgrading to a new console? Sell your Xbox, PlayStation or Wii with musicMagpie! Click below to get an instant price.